And just like that, summer vacation is over. Today marks the first day back to school for Easton. While I love having everyone home and the casualness of break, I have to admit, I’m ready to get back into a routine and to have a few more productive days out of the week. 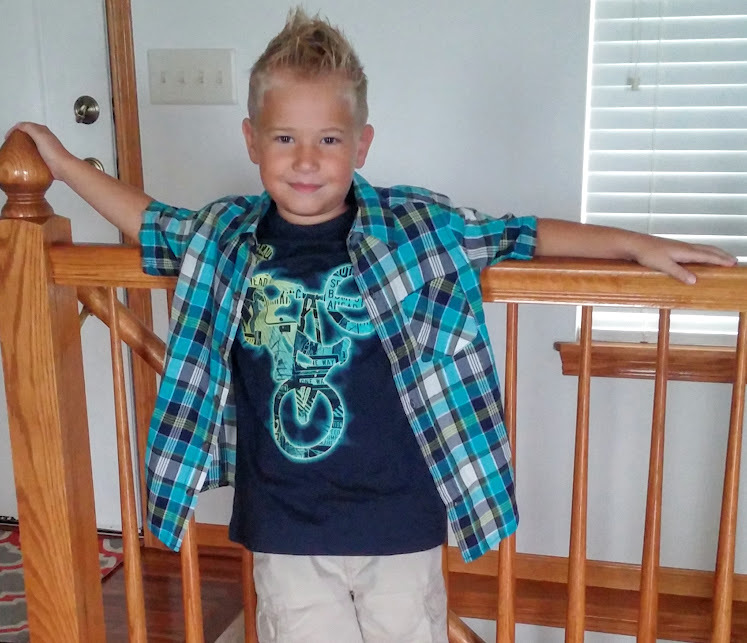 Unlike previous years, this time around Easton did not wear something handmade on the first day (although he did wear his Minecraft Perfect Polo to the “meet your teacher night” and had lots of kids commenting on his shirt…. I think I should have bought more of that print). However, I think I may wash up the Adventure Time print I recently purchased and decide what I can make with it – with the weather we’re having today, I’m definitely thinking a jacket might be in order! This entry was posted in Uncategorized on August 19, 2015 by stacy.